About 80 of us–from Indian People’s Action and indigenous mass movement Idle No More, Northern Rockies Rising Tide, Blue Skies Campaign, and other local and regional groups, as well as individual activists–halted the third load on a busy artery in Missoula on March 14th at 12:30 a.m. (the city restricts megaload movement between midnight and 5:00 a.m.). 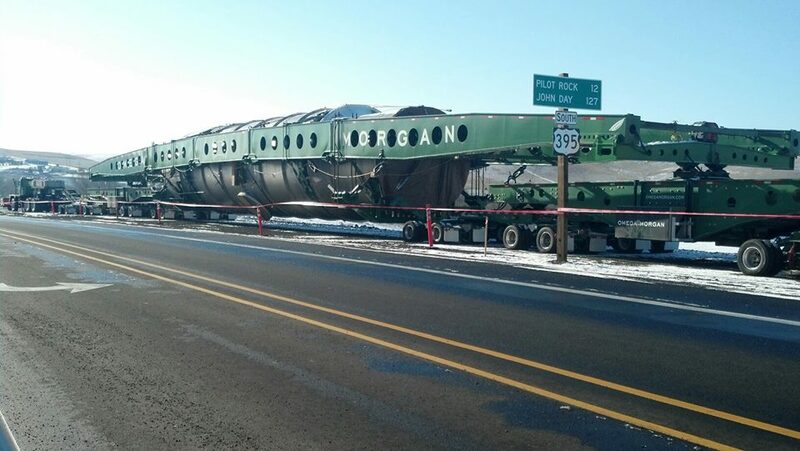 For 20 minutes we obstructed the transport–a load weighing 794,000 pounds and measuring 380 feet long, 23 feet wide, and 19 feet tall (source). Tribal folks drummed and sang and activists circled in a round dance; the rumbling roar of the transport rig and flashing strobes from many squad cars imbued the darkness with a surreal air. When the authorities deemed it time for the megaload to move forward, three climate-activist grandmothers sat down in front of the rig as they had previously, and were again arrested (video). Eight-hundred miles lay between our act of civil disobedience and the tar sands directly north, but as the constituent of carnage and extinction rolled past, it was impossible to forget its target: the boreal forest and its human and nonhuman animal inhabitants. No deals were made with the nonhuman victims of the tar sands, which lie under 54,000+ square miles of boreal forest and muskeg (Algonquin for “grassy bog”). In 2010 a storm forced 550 ducks to land on toxic waste ponds and pavement instead of the pristine waters that once characterized the land; though they died or were subsequently destroyed, no charges were filed. “Sometimes incidents happen,” said Alberta’s Premier. Two years earlier, the count was 1600 ducks, with video capturing their distress as they struggled and died in the thick, tarry sludge (Syncrude paid $3 million in penalties that time). 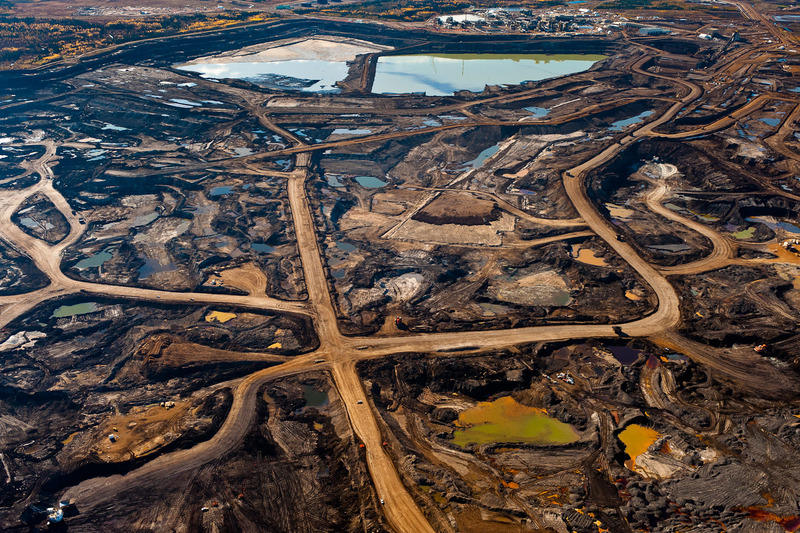 Depending on how extensively the tar sands are developed, a 2008 report “projects a cumulative impact over the next 30 to 50 years ranging from a low of about 6 million birds lost to as many as 166 million birds lost.” According to the Boreal Songbird Initiative, “nearly 50% of the 700 species that regularly occur in the U.S. and Canada rely on the boreal for their survival. Over 300 species regularly breed in the boreal.” Our silent spring may yet arrive. And the beat goes on. Alberta’s “solution” to easing pressure on caribou has been to systematically kill the wolves that naturally prey on them (video).